I also see him in stock photos. I see him in little boys and older boys and in babies, too. I see him in the places I go and in planes and on ships. I see him everywhere. Even though I haven’t physically seen him in more than two years. I’d like to think he sees me in crowds at the mall or as an extra on his favorite TV show. But, that’s wishful thinking. I know he doesn’t. I’m sure he doesn’t give my absence a second thought. As well as he shouldn’t. He’s a teen with a whole host of problems. With obscene amounts of homework and extra-curricular activities. He has enough on his plate. In a few short years, he’ll be an adult. An adult with conviction and opinions and free will. And as such, he will most likely call me out on walking out of his life – that’s if our paths will cross again, which I’m sure the chances are really high on that happening. But, for right now, it’s best that we stay in our corners. It’s for the best. I mean, the only things I could offer a fourteen year old are lessons in defying authority, spinning a story and charming the ladies. Seriously. That would be negligent on my part. No teenage boy should be privy to these things. I mean, I’m sure it would be very helpful, but I would probably end up getting a 4 AM phone call from him needing a ride home from a kegger. Something that should never be done before the age of sixteen, in my opinion. Okay, this is just for Peter, so everyone else look away. My beautiful boy, I’ve never stopped loving you. I’ve never stopped thinking of you and seeing you. Everywhere. Especially in my heart. As for your sister. I see her too. Every time I look in the mirror. Just the other day I was contemplating going back to school. It’s something I always talk about doing, but never actually get around to. Like organizing that sock drawer. I have taken courses here and there, but nothing serious. Nothing degree seeking. I think because it was such a struggle to finish my B.A. that it just left a bad taste in my mouth. I didn’t struggle with the academics, I majored in English: i before e, except after o; use passive, instead of passive-aggressive voice, and always put an accent on the a. You see, I’m a natural. I struggled in other ways. Just having the silver spoon knocked out of my mouth, I was left to figure out things on my own, including paying for my last year of school. So I went to work. Trying to find a balance between career, money, a social life, independence, brand new credit cards and, technically, still being a college student. Before my senior year I was already employed by a newspaper’s dot-com department. By age 21 I had left to become a designer at a non-profit, but turned into a grant writer instead. I would’ve stayed, but I was recruited to join a television network’s dot-com department as a producer, where I was handed my first lay off. While I continued to build my resume, school was put on pause. Because I was hungry. Hungry for a career. Hungry for a six-figure salary by 27. I was having the time of my life. Meeting people. Learning new skills. Earning a ridiculous paycheck. I believe the first time I saw four figures and change on a check in my name I got dizzy and turned beet red. Although getting an “A” in my Mark Twain class was nice, it didn’t make me feel the same way as that paycheck. I eventually completed those last few credits and got my degree through the mail (I was working, couldn’t go to graduation). And that was my struggle. Pretty ridiculous in light of what today’s college students are going through. On the streets of Miami, a rich metropolitan city with a bunch of private universities, including the internationally acclaimed University of, college students beg on street corners. They do not beg for you to buy them beer at the 7-11. They do not beg as a fraternity prank. They beg because they cannot find jobs. Jobs that would normally subsidize their meal plan, their groceries, their toiletries. Those jobs are no longer available. So, they beg their neighbors, relatives and distant cousins for enough money to buy Cup Noodles to combat the cold in their dorm room. The seniors of that group will soon graduate when the cold has long left us. For those lucky enough to get a job, they will soon realize they have entered a world that is not looking to train, show or help. That they are perceived as large children that listen to mysterious satanic messages through their white earphones. The freshly graduated will eventually report back their findings to their once fellow students. They will say that half of the office is old enough to be their parents and the other half, their grandparents. They will say that they are still broke because $21,000 a year can hardly cover rent and car insurance. And they will say how much they miss college and are considering returning for a Master’s. Not to learn something new, but to subsidize their child-labor salary with a living expense allowance afforded by a student loan — for lunch money. Poor and hungry smart kids. Not hungry for ambition. Hungry for food. I suppose if they stay in school long enough they could become professors. I suppose they’ll be ecstatic when ten years later they receive their first, full professorial paycheck and realize that they have to now subsidize their paycheck by authoring a text book in order to payback those student loans. So, you see. Not all is lost. We are now breeding scholars instead of career-driven numnuts. The day I finally decide to go back to school, perhaps the professor can passionately deconstruct The Celebrated Jumping Frog of Calaveras County. 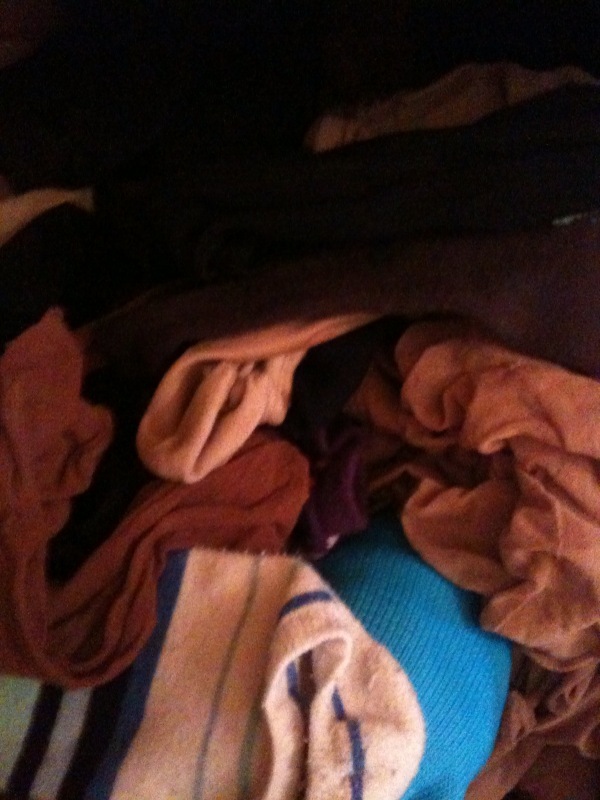 Or the day I decide to organize my sock drawer I can hire a Complex Systems Ph.D to do it. If I have a job by then. And if that job pays six figures.